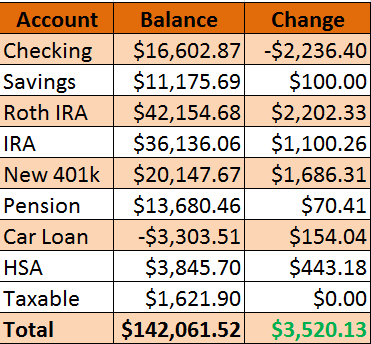 Here is my net worth after July: Solid month for me, with huge gains across all my retirement accounts. My checking account is down because of paying off credit card expenses from previous months, but that’s expected and not a big deal. 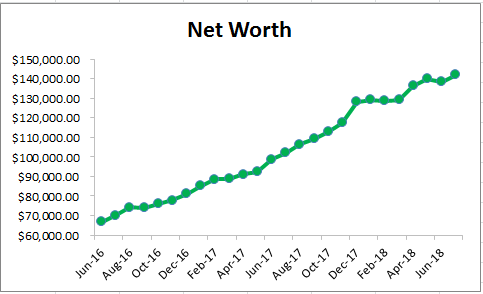 The important part is the positive net worth trend again. 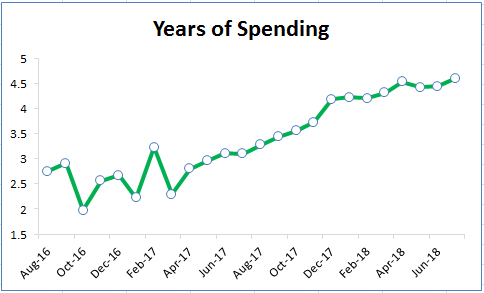 I’m slowly approaching 5 years worth of spending, and I do think I’ll be able to get there by the end of the year at this pace. I also thought it would be cool to see the opposite, how much would I be able to withdraw each month? 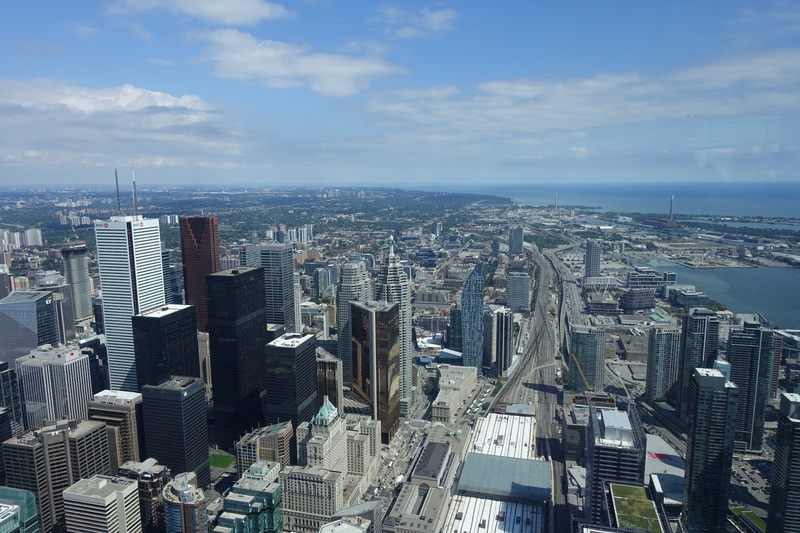 I set the rate of return at 4% as a conservative guess, and the retirement time period would be for 30 years. I’d be able to withdraw $676 a month for 30 years which is 26.3% of my average monthly spending. I’m back on the positive side of this equation, and moving along towards that 30% goal. It’s not looking impossible at this point! Awesome progress there, I love the charts! You’ll blow past that 30% goal quickly at this rate. Thank you! I’m not sure whether there is enough time in the year to hit that goal with the recent stock market performance, but I think I’ll at least be able to make it interesting.